Jordan Brand will definitely make waves next week in the market as they release never-before-seen editions of the Air Jordan 7. 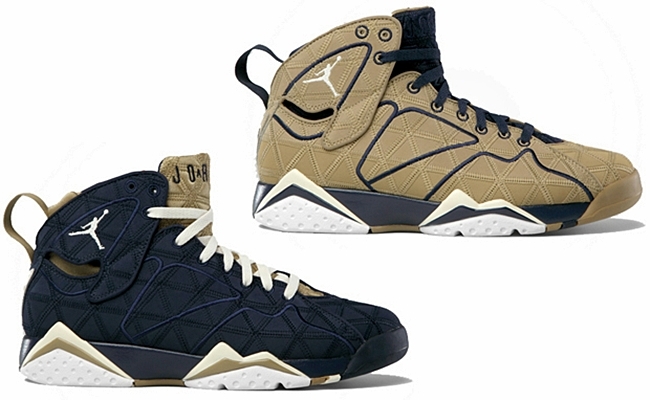 This retro shoe gets a fresh makeup that turned into two impressive shoes known as the Air Jordan 7 “Filbert” and “Obsidian” editions that will be available in the market for $175 each starting August 4, Thursday. Officially known as the quilted edition, these two Air Jordan 7 retro kicks features an embroidered stitching of small triangles throughout the upper part of the shoes, built with highly-visible seams, giving the famous Air Jordan an eye-catching look. Mark your calendars now and make sure not to miss this two! Air Jordan 12 Obsidian Making a Comeback!